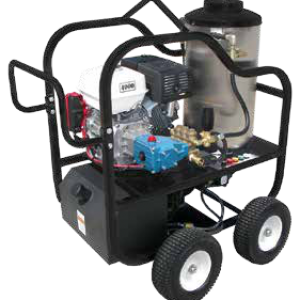 WHITCO Stinger Pressure Washers - ELECTRIC POWERED - OIL FIRED HORIZONTAL BURNER. Turn Up The Heat on Your Toughest Jobs with the Maximum Cleaning Power from the Whitco Cleaning Systems' Stinger Pressure Washers. 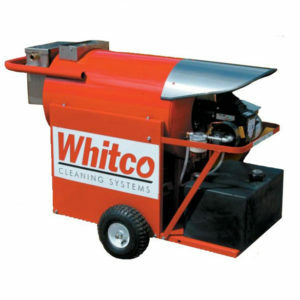 The Stinger Pressure Washers by Whitco pack enough hot high pressure to tackle big-time jobs in a portable and affordable compact machine. 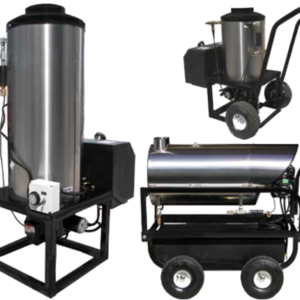 Its manageable size makes the Stinger a perfect fit for a wide range of industrial pressure washing applications. When you need the power to clean, the Stinger will do the job. STAINLESS STEEL FLOAT TANKS - Provide consistant float alignment and prevents rust. HIGH PRESSURE HOSE AND STANDARD TRIGGER GUN WAND for operator safety and convenience. HIGH TEMPERATURE LIMIT SWITCH to provide you and your operator safety protection when the burner is running. 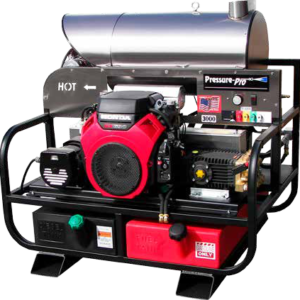 AUTOMATIC BURNER SHUTDOWN AND IGNITION BASED ON TRGGER GUN OPERATION to prevent damage and overheating of unit's coil. EXTRA HEAVY DUTY STEEL FRAME with STAINLESS STEEL FRAMING AS AN ADD ON OPTION. This S.S. option is recommended when unit is in a wash bay. PNEUMATIC TIRES make this unit's portablity easy and convenient even when being rolled over a gravel surface. 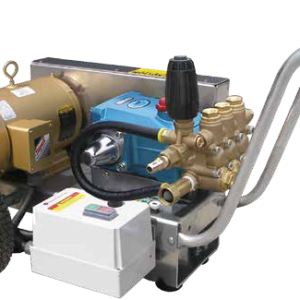 PANEL MOUNT HIGH PRESSURE CHEMICAL INJECTION CONTROL provides impact force for your detergents to penetrate deep into the dirt or grease layers. 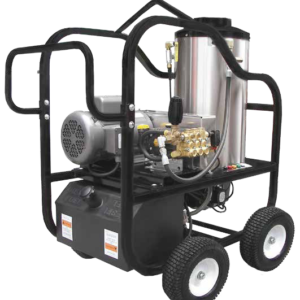 Currently there is no online store available, therefore use the PRICE REQUEST button above to begin processing your order for powerful, durable, safe, and compact Whitco Stinger pressure washer. Feel free to review the attached PDF Specifications and the special price listing offered by Powerwash Solutions of Western PA LLC. 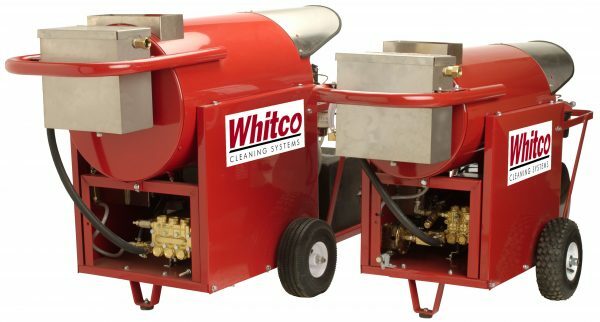 Direct link to factory website: Whitco Cleaning Systems. Note: This link will open a separate window so you can easily return to place your order. We Look Forward to Your Order.